It was very busy with cyclists on the Fremantle South Mole this Saturday morning at 6am when around one hundred bike riders came to farewell the 25 mad ones who started a race to Sydney via Melbourne. Good luck and have a safe ride, and all come home in one piece! A leisurely nighttime ride where riders are encouraged to decorate their bikes and themselves with anything that shines, glows and sparkles for a chance to win prizes. This workshop aims to build confidence in adult riders who feel as rusty as their bikes. Participants need to bring their own bike and helmet. This course for school-aged children (6-10 years) improves bike handling skills and confidence so they can ride to school and for fun. Participants need to bring their own bike and helmet. Riders will explore Fremantle area by bike, have fun solving questions and be in the chance to win some great prizes. It is BIKE WEEK in Fremantle from March 15 to 24 so hop on your bike and take part in the events. Clean, flexible and functional design lines, high ceilings flooded with natural light and state-of-the-art equipment provide a backdrop for a unique new training facility dedicated to physiotherapy students at Fremantle Notre Dame University. The bespoke 125-square-metre exercise gym, located at the former Customs House in Phillimore Street, is designed to fully prepare students to meet the increasing focus on exercise for the prevention and treatment of many modern health issues. “When providing health care for anyone – from our children to our ageing population – it doesn’t matter what the question is….exercise is almost always part of the answer” said Professor Sarah Love, Dean of Notre Dame’s School of Physiotherapy. The gym’s training equipment, including aerobic exercise machines and weight lifting equipment, has been carefully selected to maximise options for exercises and activities within the space and to provide the flexibility to alter configurations and layouts to suit specific teaching needs. “It takes the training of our physiotherapy students to a whole new level, gives them the unique opportunity to gain invaluable practical experience and skills,” said physiotherapy lecturer and Senior Research Scholar Dr Mervyn Travers, who helped to plan and design the gym. 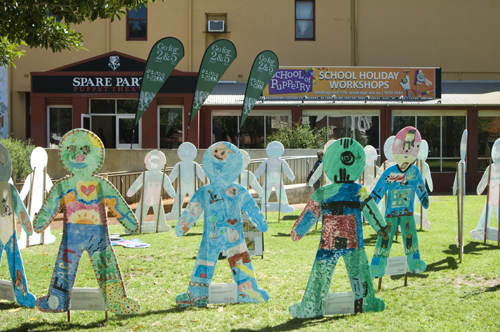 STREET GAMES is starting today in Fremantle’s Princess May Park, so go and check it out! Every Wednesday from 10-11.30am free social sports will be played; AFL, cricket, boxing, etc. It should be a fun and social way to get or stay fit, and meet new people. People of all abilities and genders are welcome, so don’t be shy! If you love shooting hoops this Sunday October 14 will be the day for you, when the inaugural South Beach 3×3 Streetball Competition will hit the South Beach Sports Court. There will be mixed competitions for three different age groups, including 12-15 yrs, 16-20 yrs and 20+. The games start at 10am, with registration from 9am on the day or online at https://bit.ly/2N2DzH7. 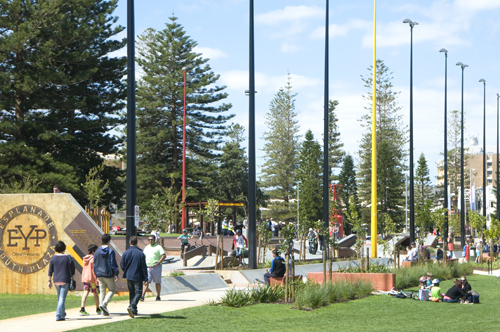 The free community event is proudly hosted by the City of Fremantle and Basketball WA. The weather forecast is not great for Sunday so I hope that BOM is wrong this time. The southside NIGHT HOOPS will be back from late October for young people between the age of 12-18 years old who live in the Fremantle/Cockburn area. Come play a game of basketball, get a free meal and some skills and life coaching in a safe environment, and a ride home on the bus before midnight. It is all free and players and volunteers can register their interest on http://www.nighthoops.org. Comments Off on NIGHT HOOPS ARE BACK!